Cat and Sam arrive back in Glasgow with a colossal bump following a holiday away in South Africa. Having run away from her relationship with Frankie, Cat realises that she must now face the music. Things dont go to plan when Tess starts a new job. Frankie and Tess are finding it hard to pay the rent on their new flat and look for a new flatmate to help. 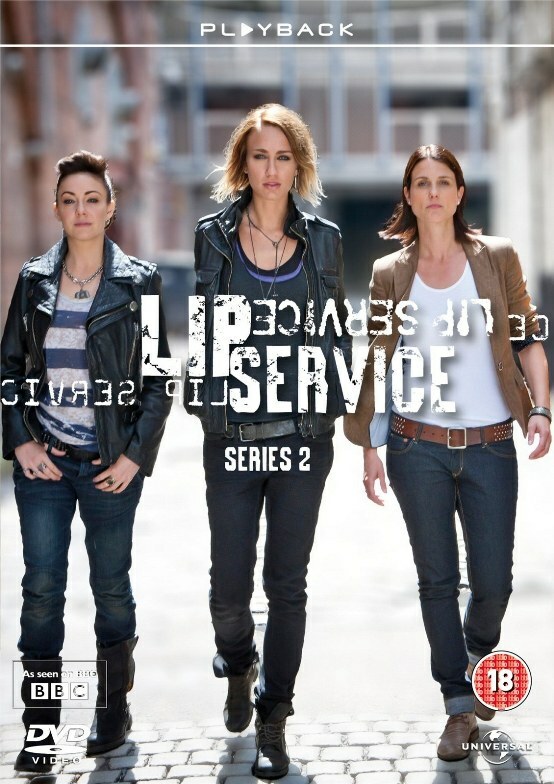 Lip Service is a bold new lesbian drama created by Harriet Braun (Mistresses, Attachments) and follows the lives and loves of a group of twenty-something friends living in Glasgow. Meet Cat (Laura Fraser – A Knights Tale) a self assured architect whose life is spun upside down when her former lover Frankie (Ruta Gedmintas, The Tudors), a talented but emotionally reckless photographer, reappears in Glasgow unannounced after disappearing two years earlier. Tess, Cat’s best friend and flatmate, has a proven track record of falling for the wrong sorts of women, including sultry Lou (Roxanne McKee, Hollyoaks). Starring a hot young British cast, including Emun Elliott, James Anthony Pearson, Heather Peace, Natasha O’Keefe and Tom Mannion, Lip Service takes a fresh look at modern day relationships – in and outside of the bedroom.